Around the blogs . . . 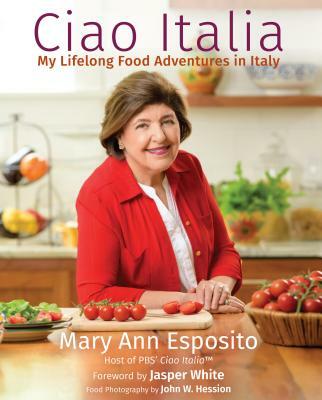 There have been a number of terrific blogs that have highlighted Mary Ann, Ciao Italia, or some of the great recipes from the show over the last several weeks. We always like to give a tip of the pen to those folks and encourage you to check out their pages. Chef Robert Irvine's Blog. Recently Chef Irvine joined Mary Ann for a taping of a Ciao Italia episode at the Mohegan Sun casino in Connecticut. He writes about the experience in his blog and gives you a few behind-the-scenes photos, too. It's worth checking out for the chicken breast with cranberry/pumpkin rissole he posts as well. Andy's Diner. Andy is an insurance agent in Miami, FL who clearly loves food and cooking. He highlights a Ciao Italia recipe called "Emilio's Angel Hair Pasta." This isn't the first time we've shared a post from Andy's blog. We can't wait for him to make his diner more than a stop in the blogosphere! Sounds like the food there will be great! Linda's Busy Kitchen. Linda loves Mary Ann's "Tomato and Basil Sauce." Can you blame her? It's easy to make and it goes with just about every kind of pasta. mary Ann,have you ever thought of joining entre card? it is a great way to attract more readers.